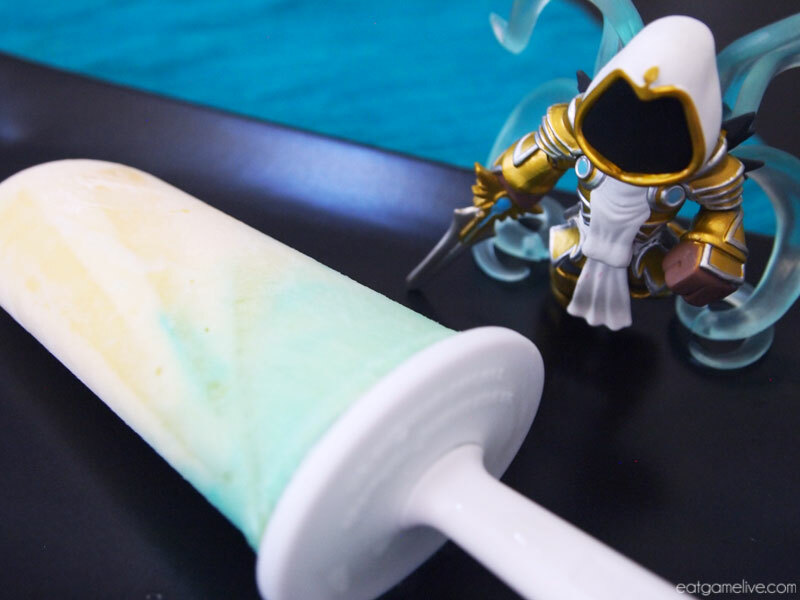 Nephalem, you should stay a while and listen to this latest recipe! After much planning and thinking, I’m ready to go on my next culinary adventure in Sanctuary with a brand new series called “Sanctuary Sliders”. My goal is to create sliders representing regions, monsters, and residents of Sanctuary. It’ll be a very ambitious project, but I think I’m geared up enough to do it! If you wanna pass a few pieces of gold my way to support this project and the blog, please visit my Patreon. We’re starting series off with where it all begins in Diablo III — New Tristram! Prep time for this recipe is about 20 minutes. Cook time is about 35 minutes. This will make about 6 sliders. Set a pan on high heat. Add in 1 tablespoon of olive oil. Saute your onions and mushrooms for about 2 minutes. Add in 1/2 cup of your ale. Allow the ale to cook out for about 3 minutes. Remove the vegetables the pan and set aside. Using a damp towel, wipe away any charred vegetable bits. 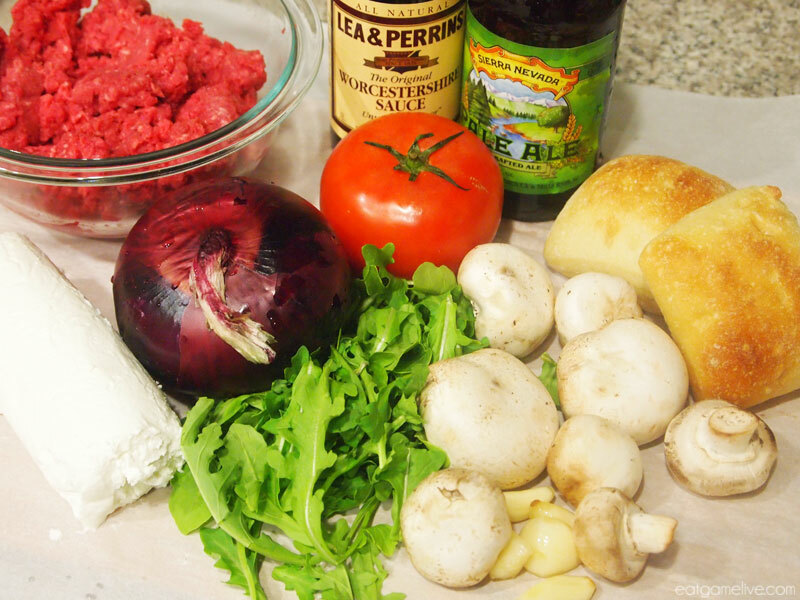 In a large bowl, combine your ground beef with your worcestershire sauce and chopped garlic. Add in salt and pepper. Add in your remaining ale and stir it into the mix. 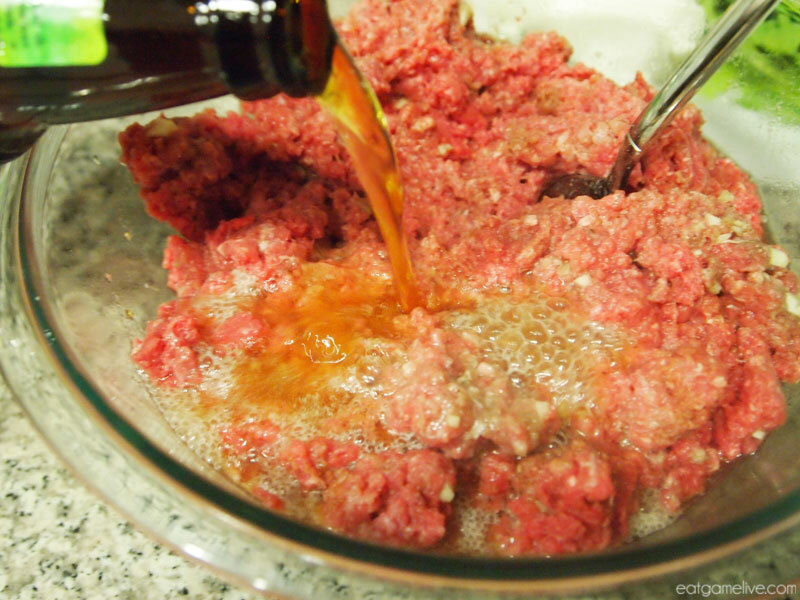 Begin shaping the meat into burger patties. Use a spoon to help portion out the meat. You’ll want to take about 2 spoonfuls of meat. Roll that into a ball and firmly press it flat with your hands. Continue doing this until you have 6 large patties. Remember, these patties will shrink during cooking! Set a pan on high heat and add 1 tablespoon of olive oil. 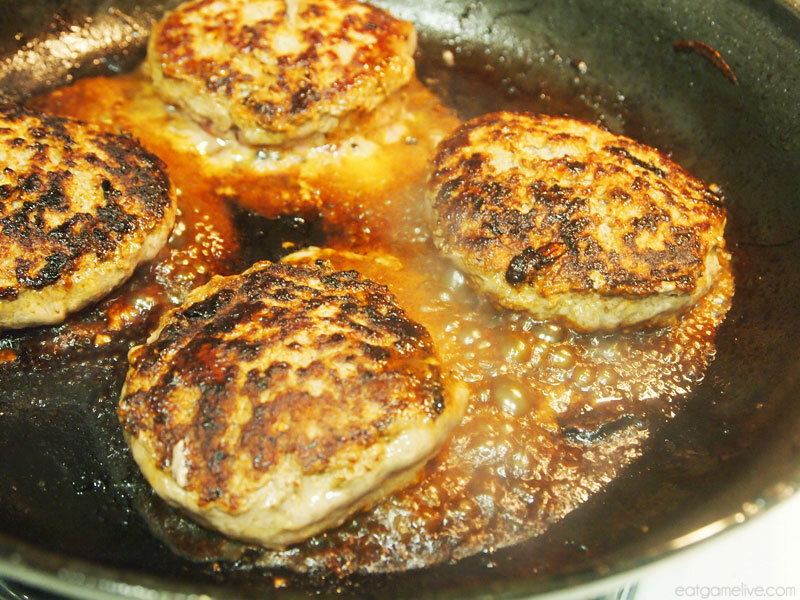 Once it’s come up to heat, add in 3 – 4 patties (depending on the size of your pan). Let them cook on one side for about 5 minutes. Flip and cook the other side for 5 minutes. The ale will bubble out of the meat at this time. Once done, remove them from the heat and set aside. 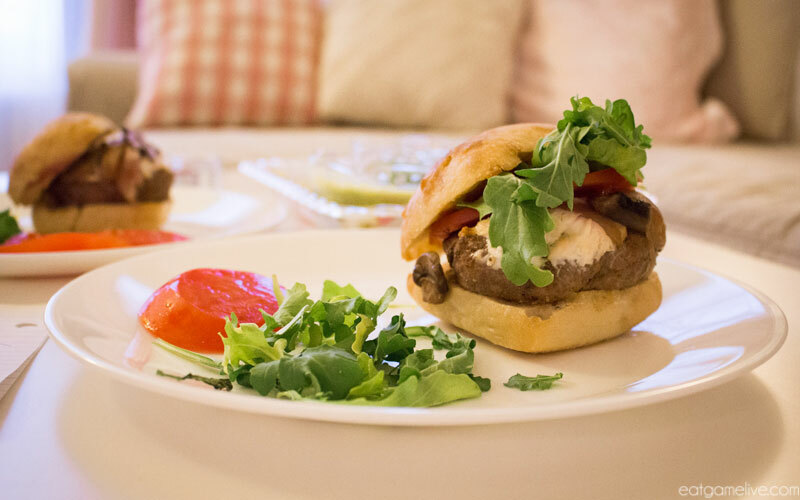 While the patties are cooking, place the ciabatta rolls in the oven at 350° for about 2-3 minutes to toast them. Remove them from the oven and cut them open. 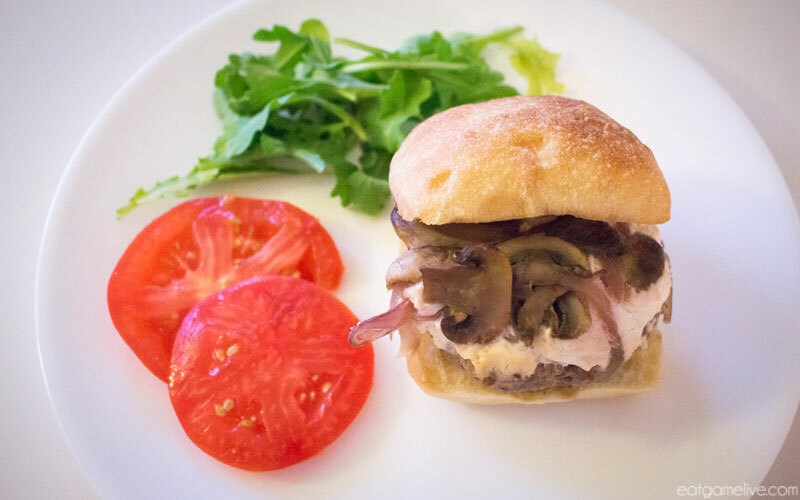 Begin building your sliders! 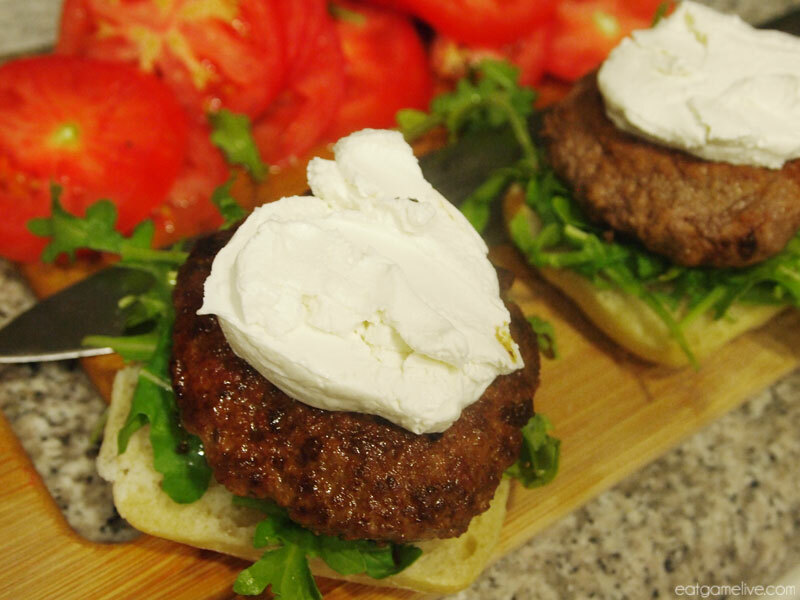 Spread the goat cheese on top of the burger patty so it melts. 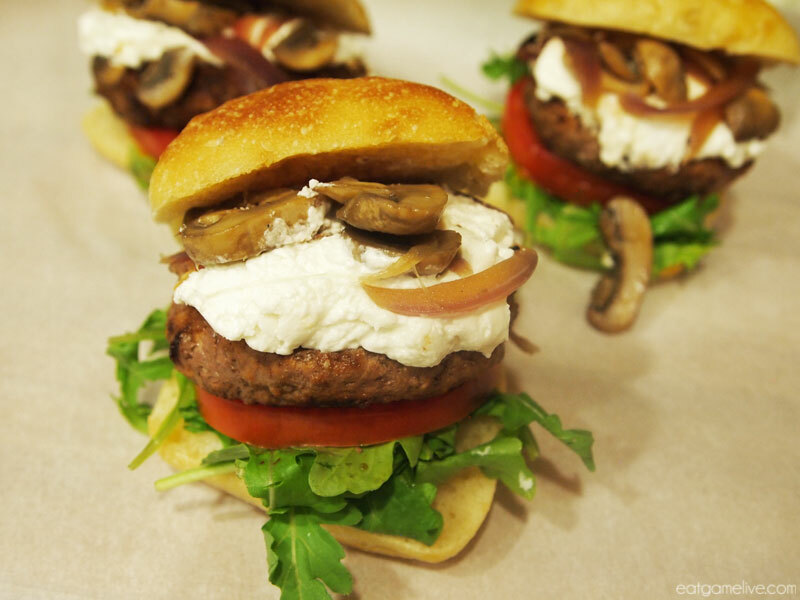 Add your caramelized onions and mushrooms over the goat cheese. You can place the remaining vegetables how ever you’d like. 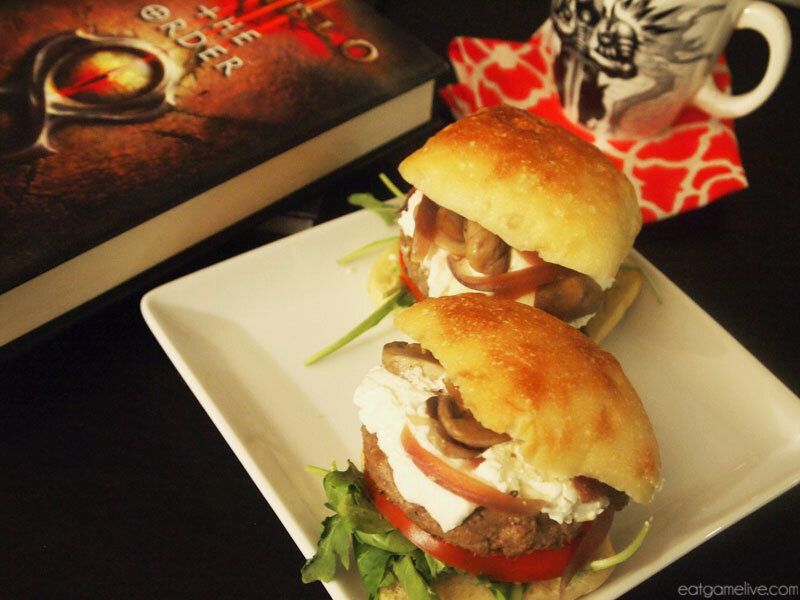 These sliders will keep your tummy happy while you battle the onslaught of demons! 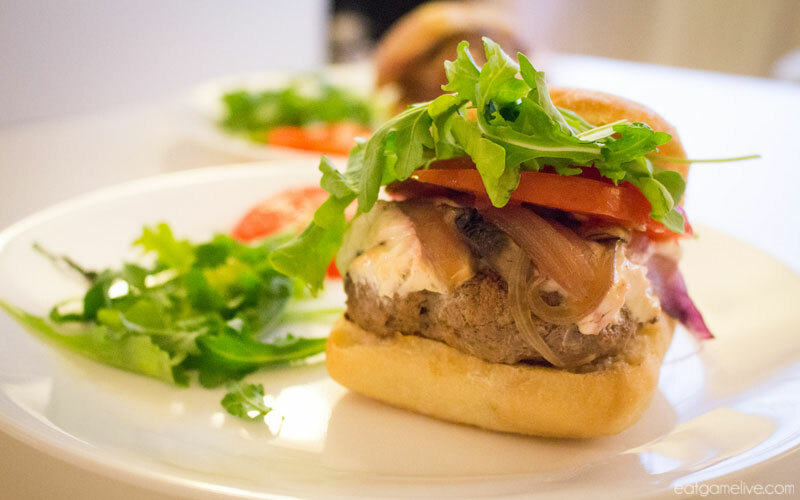 I hope you’ve enjoyed the first installment of this multi-part recipe series. 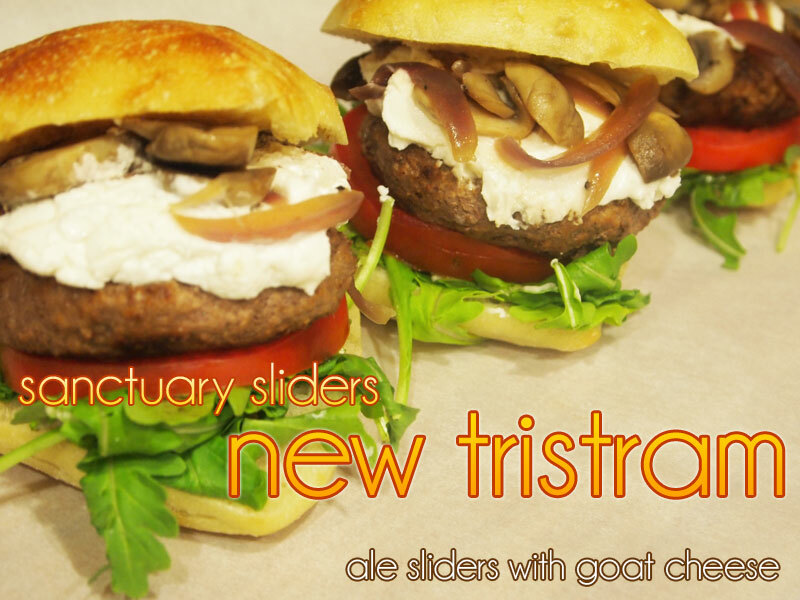 😀 Stay tuned for the next Sanctuary Sliders! See you around, Nephalem! It’s been a pretty hot summer here, so anything frozen is a welcomed refreshment. With the new season of Diablo underway, it was time to create a chilling dish that would combat the heat from the Burning Hells. JUSTICE is best served cold! Right Tyrael? 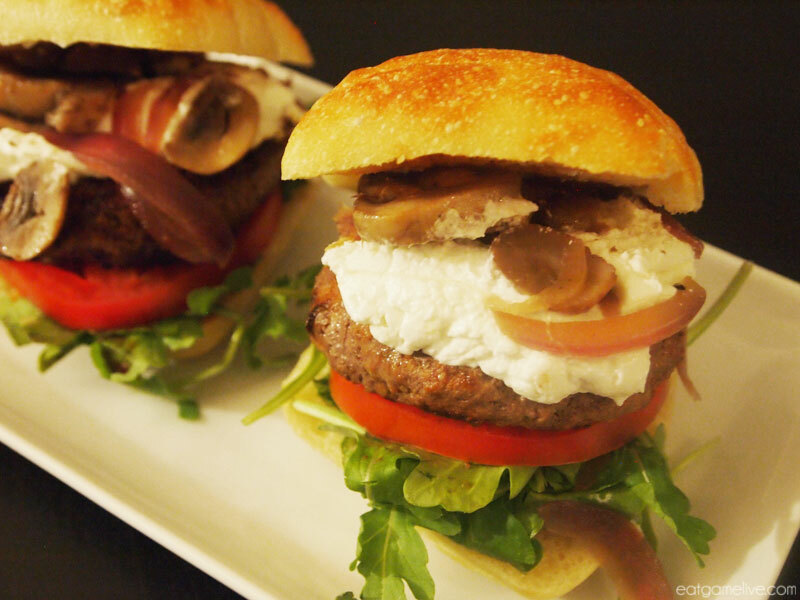 This recipe is pretty easy, so you’ll be able to whip it up between your rift runs! Plus, it’s got a little bit of booze in it. A nice way to end summer with one last tropical cocktail! Prep time for this recipe is about 15 minutes. Chill time is about 8 hours (~6 hours without alcohol). This will make about 6 popsicles. You will want a popsicle mold that has a removable shell. I’m using Zoku popsicle makers for this. This can be done with a standard mold, but it may be a bit trickier! 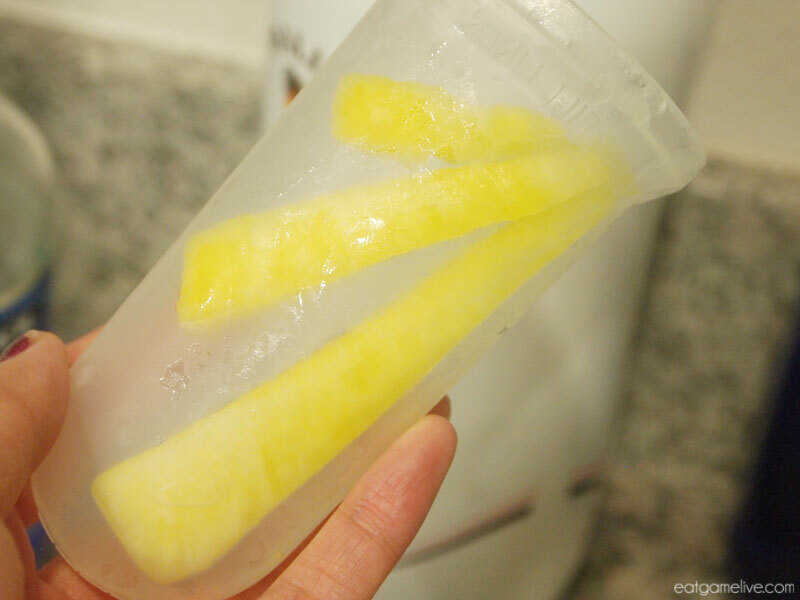 Once you’re happy with the shape and size of the pineapple rays, place them inside the popsicle mold. Place the molds face down in the freezer and let the pineapple harden for about 5 minutes. Any left over pineapple pieces from this process can be added into the next step! 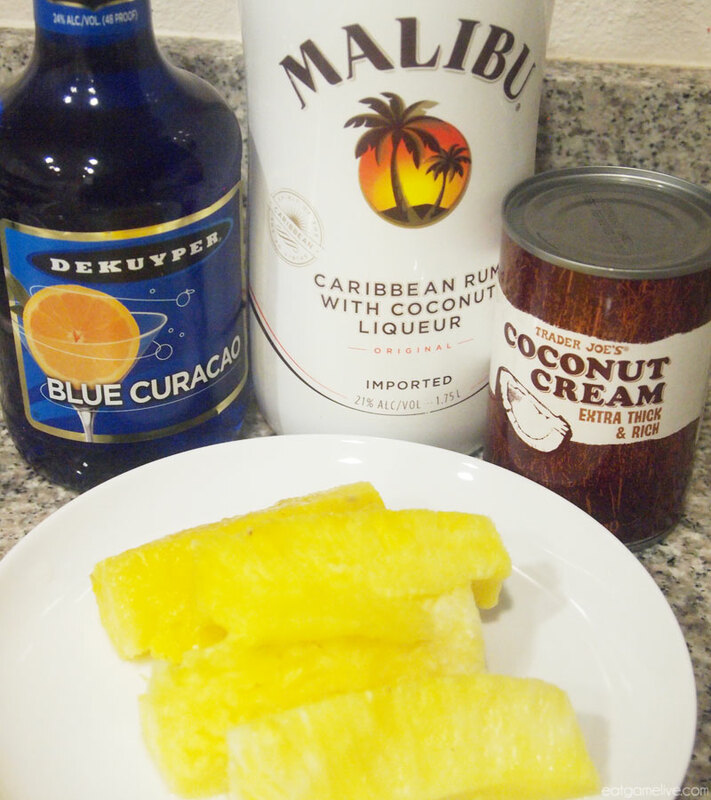 While your pineapples are freezing, combine your pineapples, coconut cream, and rum in a blender. Remove your molds from the freezer. Place the molds in their holder so they’re standing up straight. Slowly pour in the mixture into each mold. Carefully pour blue curacao into each mold. Since the piña colada mixture is dense, the curacao should easily sit on top of it. Using a chopstick or knife, gently poke the curacao into the piña colada mix. 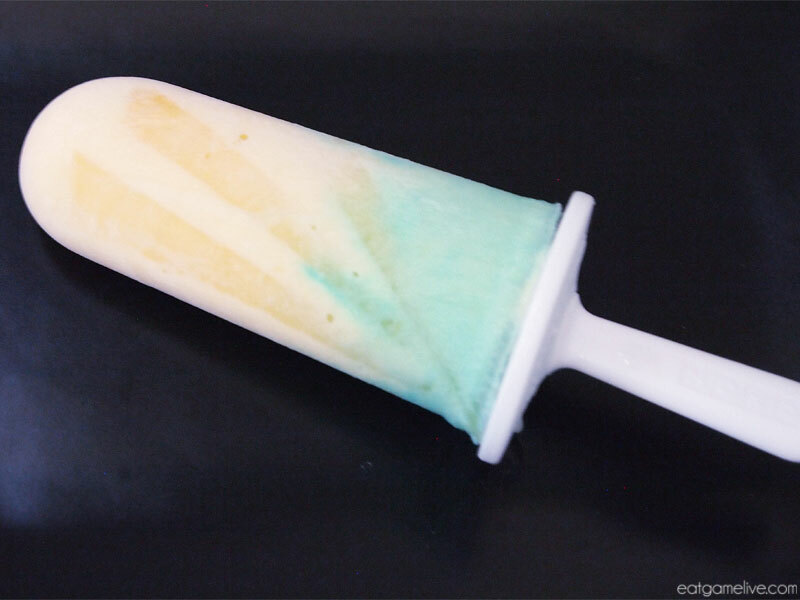 You’ll want to focus mainly on the edges of the popsicle mold in order to make the blue color more prominent. 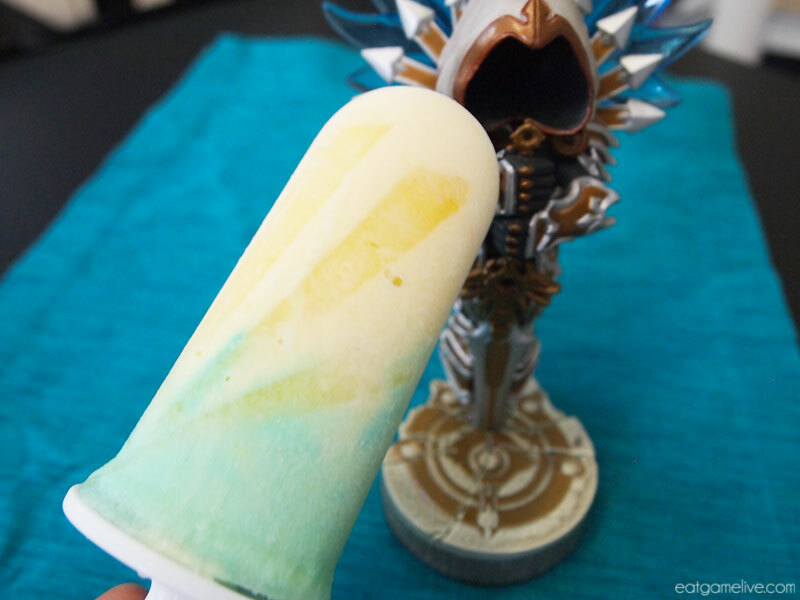 This is the same technique used for the burning hells popsicles. Return the popsicles to the freezer and allow it to chill for about 8 hours. When the popsicles are ready, use warm water to help ease the popsicles out of their molds. 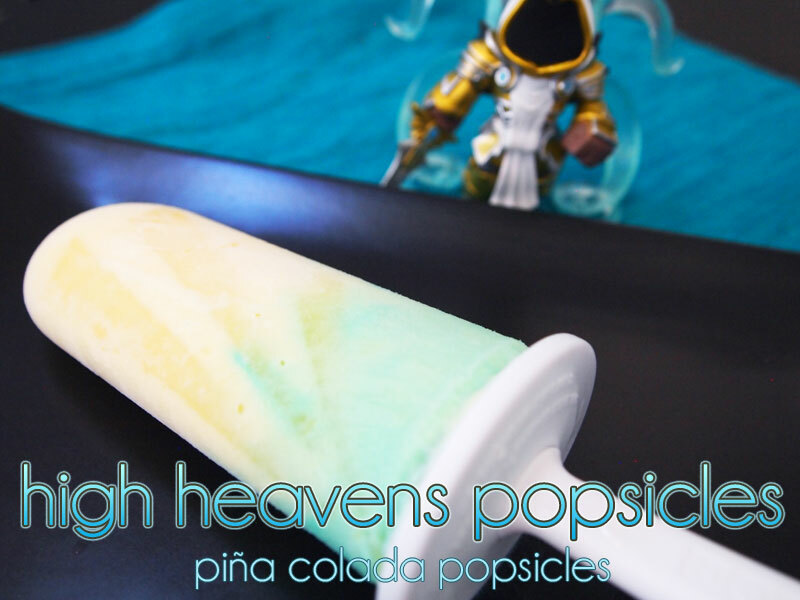 Now you’ve got a cool treat worthy of the Angels. GG WP! Now, get back to rifting! See you in Sanctuary, Nephalem!